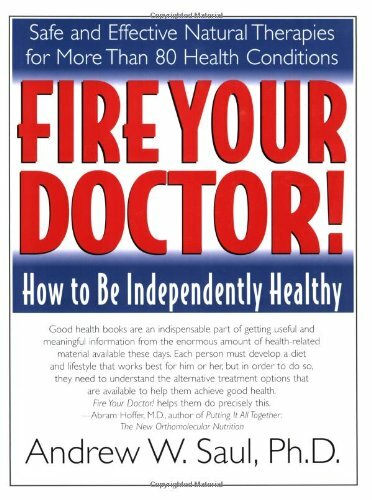 Andrew W. Saul, Ph.D., is the author of Doctor Yourself and Fire Your Doctor! With Dr. Abram Hoffer, he co-wrote Orthomolecular Medicine for Everyone and The Vitamin Cure for Alcoholism. He is also coauthor of Vitamin C: The Real Story, I Have Cancer: What Should I Do?, Hospitals and Health, and The Vitamin Cure for Children's Health Problems (all available from Basic Health). He has published over 100 reviews and editorials and his non-commercial, natural-healing website is DoctorYourself.com.